If old Rugrats episodes and nostalgic childhood treats aren't filling your life with as much Reptar as you'd like either, then you may need this adult costume. The inflatable suit with clear vinyl vision port is propelled by a small fan operated by 4 AA batteries. 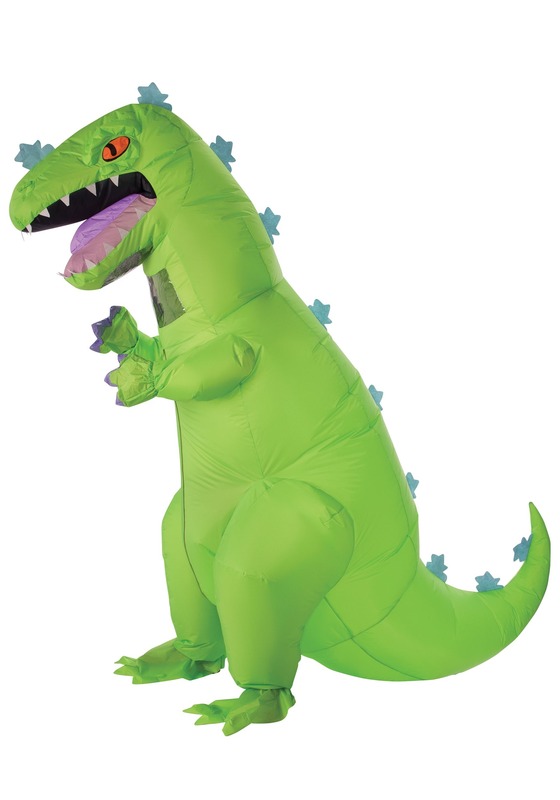 The jumpsuit inflates into a jumbo-sized Reptar, officially intertwining you with your hero. Feel free to stomp ferociously, hurl objects to the floor, and create a path of devastation wherever you go because trust us, it feels rebelliously awesome. Oh, and it's a whole lot better than eating a crusty Reptar Bar.